This leaflet has been produced to provide general information about radiotherapy treatment to the head and neck. Many of your questions should be answered by this leaflet. However it is not intended to replace discussion between your doctor and you but may act as a starting point for discussion. If after reading it you have any concerns or require further explanation, please discuss this with a member of the healthcare team caring for you. 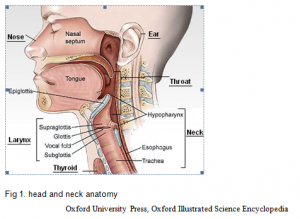 Radiotherapy to the head and neck region can include treatment to the nasopharynx, mouth, larynx, ear, nose, throat, thyroid and/or neck (Fig. 1). Radiotherapy is the use of high energy X-rays to treat cancer. Radiotherapy works by causing damage to the cancer cells in the treatment area. Although some normal healthy cells are affected, these are able to recover and repair themselves. 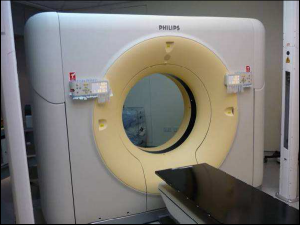 It is delivered using a machine called a Linear Accelerator (Fig. 2) or Linac for short. In order to give the healthy cells time to recover, your oncology consultant will prescribe a number of radiotherapy treatments, which will be delivered daily from Monday to Friday (sometimes over weekends) over a number of weeks. A typical course of radiotherapy for the head and neck lasts between 4-7 weeks and each radiotherapy session can take between 15-20 minutes to position and deliver. Radiotherapy does not make you radioactive and you are safe to be around others (including children) whilst you are having treatment. For more information please refer to the leaflet ‘Introduction to Radiotherapy Treatment’ or speak to a member of your healthcare team. Why do I need radiotherapy? 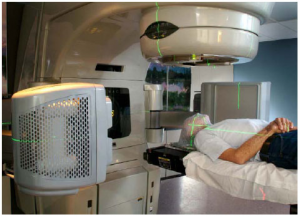 Radiotherapy treatment is commonly used in cancer treatment. It may also be combined with other treatments, including surgery and/or chemotherapy. Before you start your treatment, your oncology consultant will discuss your options with you and gain your consent. For more information about consent and radiotherapy, please refer to the ‘Consent Advice for Radiotherapy’ leaflet. Before and throughout your radiotherapy treatment, you will be given opportunities to discuss your diagnosis and treatment with your healthcare team, which can include your oncology consultant, dentist, nurses, dietician, speech and language therapists and the appointment booking team. Please read this leaflet and share the information it contains with your partner and family (if you wish) so that they can be of help and support. There may be information they need to know, especially if they are taking care of you throughout your treatment. The side effects you experience when undergoing your radiotherapy treatment are dependent on the area of the head and neck you are having treated. Your oncology consultant and other members of your healthcare team will advise you as to any side effects that you may develop. Swallowing may become difficult during radiotherapy due to a sore, dry mouth and throat. The nature and severity of swallowing problems will be determined by which part of the head and neck you are having treated. In addition, symptoms may be worse if you are also having chemotherapy. For more information and advice, please refer to the leaflet ‘Dysphagia (Swallowing Problems)’. If your larynx is included in the treatment area, this may result in a dry, sore and swollen throat. This may cause your throat to feel uncomfortable when talking and you may find that your voice becomes hoarse and croaky. For information and advice on looking after your voice during your treatment, please refer to the leaflet ‘Care of the Voice during Radiotherapy to the head and neck’. It is important to have a dental check-up because it will help to prevent dental problems during and after your radiotherapy treatment. If you need to have any teeth removed, this will be done prior to having your Computed Tomography (CT) planning scan where possible. It is important to look after your teeth and mouth and you may be given special toothpaste and mouthwashes to use. You are advised to stop smoking during treatment as it will make the soreness in your throat worse, delay the healing process and could make the treatment less effective. Support and advice can be given on quitting smoking. Drinking alcohol (especially spirits) will irritate the lining of the mouth and throat and is not recommended during treatment. For more advice, please speak to a member of the healthcare team. If you are undergoing chemotherapy with radiotherapy you may be required to attend for chemotherapy before starting radiotherapy. You may also be having chemotherapy at the same time as your radiotherapy. Your oncology consultant or another member of your healthcare team will discuss this with you if it is necessary. If you are undergoing radiotherapy to the upper head and neck your oncology consultant may decide that you need a mouth bite (Fig. 3). This mouth bite will be placed in your mouth but will not affect your breathing. It may be individual to you and it will help to keep your mouth and tongue in the correct position for your treatment. Your oncology consultant or another healthcare professional will discuss with you if a mouth bite is required. It may need to be made at a separate department before your radiotherapy planning appointment. If this is the case, it is very important that you bring your mouth bite with you for your radiotherapy planning appointment. Your first appointment with the Radiotherapy department will be for an individual mask to be made and for a CT scan (Fig. 4). A radiographer will meet you to discuss the procedure and gain your consent at the start of your appointment. 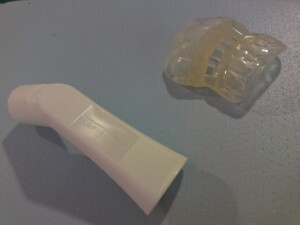 Your mask will be made of a special plastic that becomes flexible when warm. Whilst some may find this procedure uncomfortable, your mask is very important as it will be used everyday to keep you in the correct position for your treatment. It also avoids the need for drawing marks on your skin. If you wear dentures or hearing aids it is likely you will need to remove them. A radiographer and a treatment planner will be present and they will explain the procedure before your mask is made. Please make them aware of any questions or worries you have. You may be required to have an injection during the CT scan to improve the quality of your scan. The injection contains a contrast medium, which is like a dye and shows up some of the organs in your body better. If this is necessary, the radiographer will ask more questions to make sure it is safe for you to have the injection. A radiographer will place a needle into your arm or hand and the injection will be given through this once you are on the CT couch. The injection should not cause you any problems but it can create a warm sensation through your body for a few minutes. Usually, it will take 15-20 minutes to make your mask, after which you will have a CT scan (Fig 5) in your mask. This will take around 10 minutes. Using your CT scan, treatment planners will work with your oncology consultant to create a radiotherapy treatment plan unique to you. 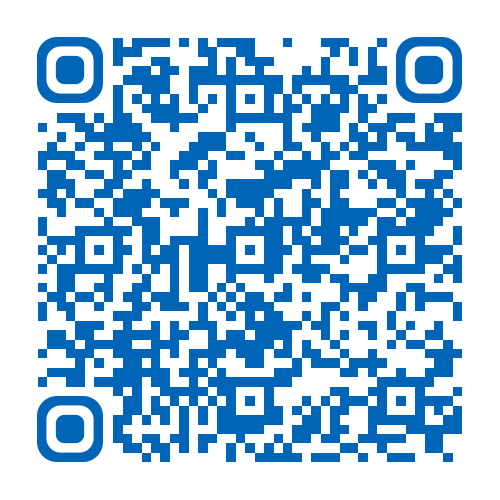 For more information, please refer to the leaflet ‘Introduction to Radiotherapy CT Planning’. Your oncologist may request for you to also have a Magnetic Resonance Imaging (MRI) scan in your mask after your CT Scan (Fig 6). 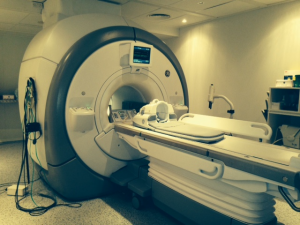 You will be required to remove any metal objects and the MRI radiographers will explain the procedure. On the first day of your radiotherapy you may be required to have a check that your mask still fits you. This may be important if you are attending chemotherapy before your radiotherapy. 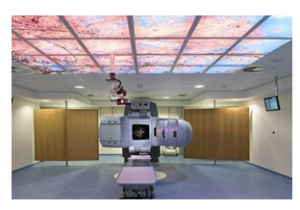 Your radiotherapy treatment will be carried out by a team of therapy radiographers. On your first day, a radiographer will explain the procedure to you and you will be invited to ask any questions you may have. The radiographers will place your mask on you and will check that your position is correct for treatment (Fig 7). The Linac will move around you but it will not touch you. The radiographers will leave the treatment room whilst your radiotherapy is being delivered but they will be able to see you on a camera so if you need their assistance you can raise your hand. You will not see or feel anything when the treatment is delivered, however you will hear buzzing and clicking noises from the machine. The treatment can take between 15-20 minutes to position and deliver. Every day that you attend for treatment, images will be taken using the same machine to check your position. You may be aware of extra equipment to each side of you but this will not touch you. Your treatment radiographers and other members of the team will review you regularly throughout your treatment. Should you have any problems or queries please speak to your treatment radiographers who will offer advice or refer you to another member of the healthcare team if necessary. Radiotherapy also affects the normal healthy cells in the treated area. These cells are able to repair and recover from radiotherapy however, this produces side effects. These may not develop straight away when starting your radiotherapy but usually build up gradually throughout your treatment. You are likely to feel more tired during your radiotherapy. This is a common side effect of the radiotherapy treatment, however travelling to and from the department can contribute to this. To help with fatigue, it is important to listen to your body. It may help if you can plan your day so you have time to rest and do things that are important to you when you feel least tired. However, you will need to plan your day around your treatment. You may need support to help with your everyday activities such as shopping, laundry and meal preparation. Family, friends and neighbours are often glad of the chance to lend a helping hand. At first you may notice that your mouth becomes drier. As the treatment progresses, areas of the mouth may ulcerate and become swollen and sore. You may also produce sticky mucous. It is important during the treatment to keep your mouth healthy. Your healthcare team will provide you with advice regarding the appropriate mouth care. They will advise you on how to prepare and use sodium bicarbonate mouthwashes. This involves mixing 1 teaspoon of salt and 2 teaspoons of bicarbonate of soda in 1 litre of water. As the treatment progresses, your throat may become sore inside making it difficult to swallow. Medications can be prescribed to help make swallowing easier. Good nutrition is essential to recovery from all types of head and neck disease, especially cancers. Our team provides assistance and advice concerning diet and feeding. This will include making the most of your food and may include dietary supplements, feeding tubes or radiologically inserted gastrostomy (RIG) feeding methods, a method of delivering nutrition directly to the stomach. Treatment of head and neck cancer is likely to affect your ability to eat and drink due to the side effects of radiotherapy. Your dietician will give you advice to help you make changes to your diet throughout treatment. It is important that you are well nourished during treatment. You will be regularly supported by your dietician and other members of the healthcare team. Your salivary glands may be affected by the radiotherapy treatment. Saliva lubricates the mouth, protects the teeth and starts the process of digestion. This dryness may last for quite a few months and may be permanent in some cases. Along with changes to your saliva you may notice a change in your taste sensation. In some instances this can lead to a complete lack of taste. If your larynx is included in the treatment area you may find that your voice becomes hoarse and croaky over the course of your treatment. Although this will continue in the weeks after treatment it should improve over time. Your speech and language therapist and other members of the healthcare team will provide you with information and advice to help to take care of your voice. The skin in the treated area will gradually become dry and slightly reddened, very much like sunburn. It can even peel or weep. Your healthcare team will advise you on how to take care of your skin. If you have a beard or moustache you may be required to remove it before your mask is made. During your treatment, it is advised to avoid wet shaving and use an electric razor. Hair roots directly within the treatment area will be damaged by radiotherapy causing the hair to fall out. Hair loss is usually temporary and it will grow back; however it may not be as thick as before. The time it takes and the way it grows back depends on the dose of radiotherapy you have received. If your ear is included in the treated area your hearing may be affected by the radiotherapy treatment. This is due to swelling inside your ear and will return to normal a few weeks after treatment has finished. Inside the ear may feel dry, sore and/or itchy. This is a normal reaction, which will settle down after treatment is finished. During treatment and for a short period afterwards, your appearance may be affected. As mentioned, the skin mimics a severe sunburn appearance, which can be difficult to conceal when treating the face and neck. However, following treatment the skin will heal with no permanent disfigurement. Hair loss in the treated area can be very distressing, as it is important to everyone’s appearance and self-image. Hair directly within the treatment area will fall out so your appearance will be affected if you have a beard. If your throat becomes sore and dry it may be harder to talk. Communicating with other people might become more difficult and it can be very frustrating when struggling to be heard. Eating with other people might feel more awkward as eating becomes a struggle and you are restricted on what you can eat. Your healthcare team is always available to offer advice and support to yourself, your family and friends. The side effects of Radiotherapy will typically continue to build up for 7 days after completion of your treatment. You will have access to your healthcare team during this time. You will be given advice regarding your aftercare when you complete your treatment. This may include follow-up by the community team in your area. A follow-up appointment will be made for you to see your clinical oncologist one week after treatment. After this you will be monitored regularly by the head and neck healthcare team. This is your doctor who is an expert in radiotherapy and will be managing your treatment. They will take responsibility for deciding and recommending what dose and how many treatments will be best for you and oversee the planning of your treatment. You may see them or a member of their team at your initial planning appointment and you can see them during your treatment if you have any problems or queries. Therapy radiographers are specialist healthcare professionals who are trained to plan and deliver radiotherapy treatment and to use the specialised equipment. You will usually see the same team of radiographers on a daily basis and they can help you with any questions or problems, or refer you to another member of the team as necessary. The Clinical Nurse Specialist is your key worker who is responsible for coordinating your care throughout the treatment pathway. The nursing team consists of radiotherapy nurse practitioners, experienced registered nurses and clinical support workers. The team actively supports all patients receiving radiotherapy treatment. They will make appropriate referrals and offer advice on any problems patients and their families may have. Nutrition is extremely important throughout the treatment for head and neck cancer. As the clinical nutrition experts in the healthcare team, the dietician plays a very important role in the treatment planning. Dieticians are specialised nutrition professionals who use their extensive knowledge of the science of food and nutrition to ensure you have the best possible nutritional status in health and disease. The team will aim to offer timely advice about your diet and support you to make dietary changes, which may include nutritional supplements and/or feeding. Speech and language therapists are trained to assess and manage both communication and swallowing difficulties. You may be referred by your consultant or clinical nurse specialist, either prior to or during your treatment. This informal drop-in centre is for patients and their families and it is located near the main reception of the Queen’s Centre. The staff in the Health Centre are trained to teach various self help techniques such as relaxation therapy and guided imagery.